Glass-box dealerships let in more light, which shows off paint colours and presumably saves a bit on the power bill. 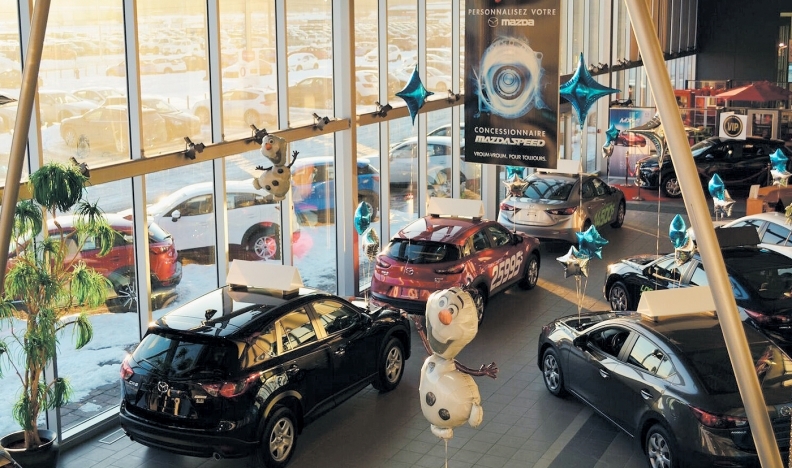 "If I had the money, I would to that with every dealership I own," says Denis Leclerc. A major problem that exists with selling cars in Canada is the brutally bizarre weather. But there's a new trend to bring it all indoors into a controlled environment. Customers who aren't being rained on or frozen out, and dealer staff who don't spend every day during the winter clearing snow? The ability for dealerships to build such sanctuaries seems to have one condition: the size of the dealer group. As in, the bigger, the better. 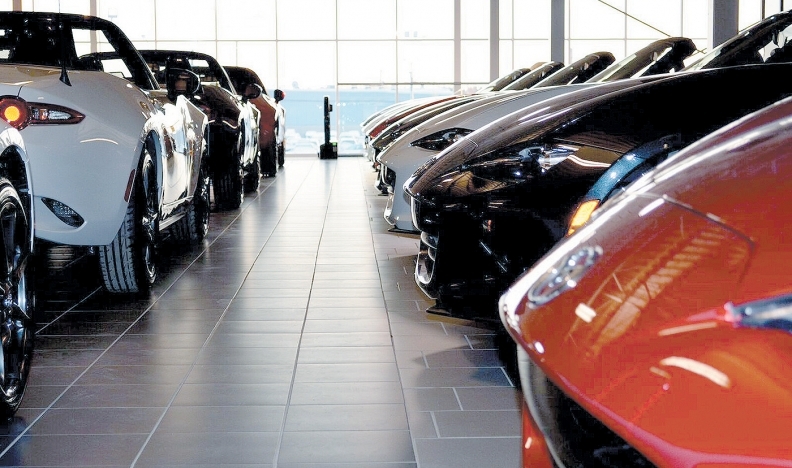 It's not unusual to see owners of such dealerships invest more than $7 million to $10 million on bricks, mortar and infrastructure, which seems to be worth it for potential buyers who are skipping around inside without coats and gloves to shop for their next vehicle. But is this really the next big thing in dealership design, and how can owners be assured that such a large investment will pay dividends? Which side of the glass would you rather be on when the weather turns ugly? "I only see one major downside," says Denis Leclerc, owner of Albi le Géant, a network of 24 dealerships in the Montréal area. "You need a lot of money to do that. If you take a medium size dealership, you will easily invest two or three million dollars more to bring your cars indoors. "But, if I had the money, I would to that with every dealership I own." Leclerc says indoor dealerships have a number of advantages. The first is, of course, having all your vehicles indoors. In a regular dealership, you can squeeze five to 10 cars inside and you have to leave the rest of your fleet outside. "I lost a couple of sales on a rainy day because the client did not want to go outside to take a better look at the car. It's also a constant struggle to choose which car will sleep inside or stay outside," adds Leclerc. For stores with a lot of inventory, the indoor approach makes sense, but sales volume needs to make up for the cost says Albi dealer Denis Leclerc. He ordered 100 Mazda Miatas and put them all on the second floor. 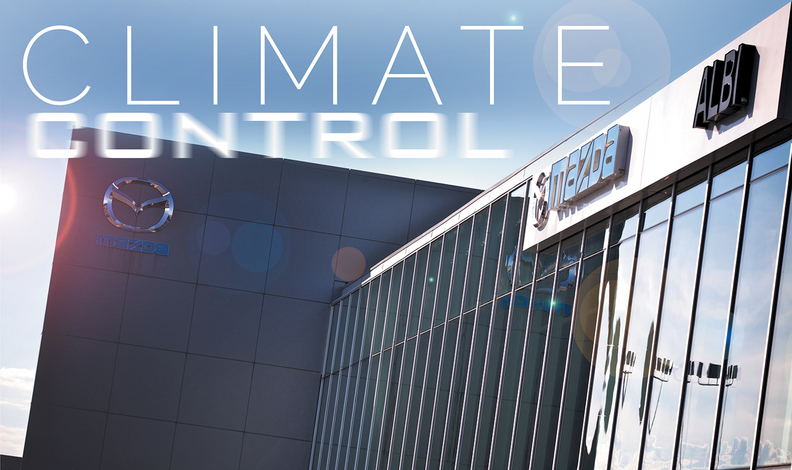 Albi Mazda in Laval, Que., just outside of Montreal, is one of the biggest Mazda dealerships in the world. With 239,000 square feet, it can show 200 cars indoors. This gives the luxury of showing each color and trim level for any given Mazda model inside. Albi is far ahead of other Mazda dealer in sales in Canada, and a dealership this size has serious leverage. For instance, the new MX-5 arrived in dealership in February, and most average-size dealerships ordered five to 10 units. Albi Mazda ordered 100 ... and they're all displayed on the second floor of the building. "I have every model, every colour in the catalogue [on display]," says Leclerc. "You have to use your imagination and create an event to attract clients." In a Chrysler dealership he also owns, Leclerc put together an "SRT suite" to show all the Dodge highperformance models together. "Things like that bring people in, and help sales." Large glass surfaces are also an important element in the design, for proper lighting. Leclerc says that's why the new dealership has lots of glass; to convey a sense of openness and to allow shoppers to see up-close "the true colors of the merchandise." What will the future bring? Leclerc says that you will see more of that new wave of dealership style. Three- and four-storey dealerships are spreading across the United States, and several have opened in Toronto, but dealers must plan carefully, he warns. "The money always comes out of the dealership pocket, and if you put $10 million or more into metal and concrete, you need to be sure the sales will follow, because we don't have a better percentage on sales on bigger leverage.